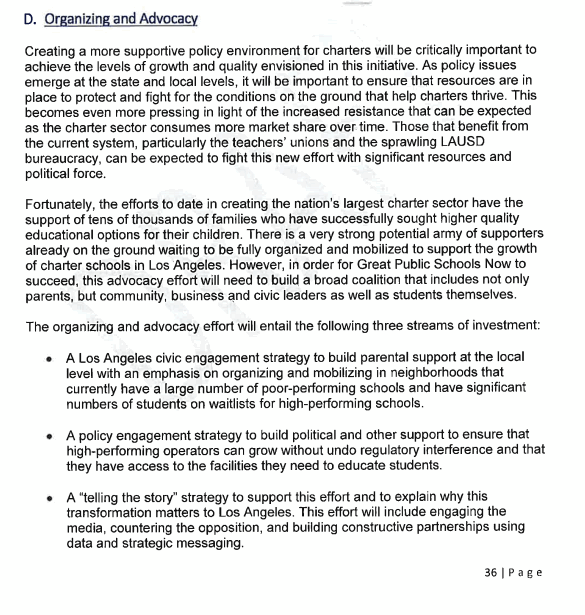 Mike Simpson posted a link to the Broad battle plan to convert LAUSD into a charter school system. 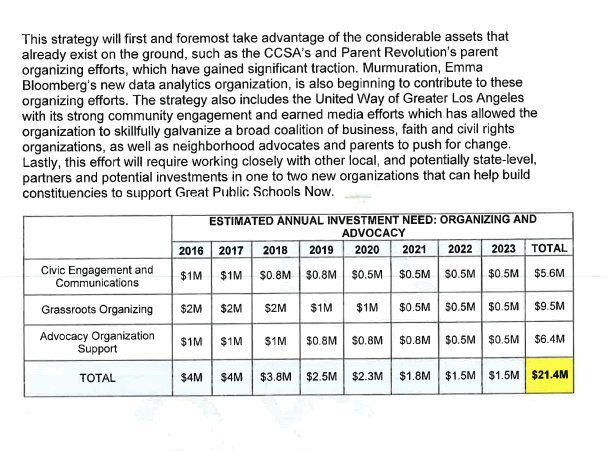 A central part of that plan calls for millions of dollars to buy support for charter expansion, and the two main organizations to help in that are owned by Broad's toadies: Parent Revolution and the California Charter Schools Association. Broad wants half of all LA Schools by 2022. Broad's plan is designed to exploit poor parents and their children to advance the billionaires' paternalistic end game to dehumanize education for the poor and to make money, lots of money, while doing it. Link here for full document.